A NY cheese post for the NYCR as I get back into the blogging swing of things. 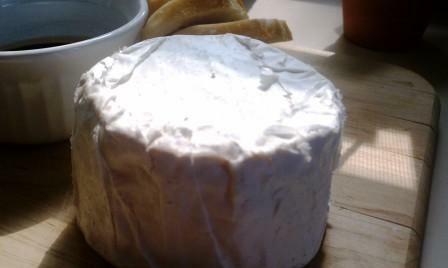 Kunik is one of my absolute favorite cheeses. Whether discussing cheese from NY, America, or anywhere for that matter, this cheese always stands near the top. This past weekend Chris and I shared an especially ripe wheel with some friends when it occurred to me that I have never written a post about this cheese exclusively. …Whenever I talk or write about New York cheeses, I am invariably asked who I think makes the best cheese. Even though I have mentioned this cheese many times in previous posts, and almost always recommend it when offering suggestions, I took a look and was surprised that I have never devoted a post to what I consider to be one of the best (if not the best) cheese made in New York.